Whether you are just wanting a regular cleaning or you have a desire to improve your smile, Chesterfield Valley Dental is ready to serve you. Dr. Robert Rahm has participated in several continuing education courses in order to get you that great smile you've been hoping for and provides a range of services to meet your dental needs. Just click on a service to learn more about what we can do for you! 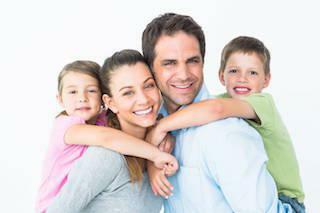 Chesterfield dentist Dr. Robert Rahm is proud to offer a full range of general dental services for your entire family. We understand the unique dental needs of different age groups, and we are ready to help keep your family's teeth healthy. Dr. Rahm is also experienced in several specialized areas of dental care, including custom mouth guards for athletes, occlusal night guards to help with teeth grinding, implant placement and restorations, and orthodontic treatments such as the Inman Aligner. We want to make our office the only stop you need to keep your teeth healthy inside and out. If your smile is ready for a makeover, Dr. Rahm can help! We offer a full range of cosmetic dentistry services from teeth whitening and tooth-colored fillings to bonding and veneers to fix those teeth that need a little help. If your teeth need some restorative care, we can discuss beautiful, custom-crafted crowns and bridges. We'll work together with you to help you choose the cosmetic treatments that will give you and your smile the best results. Many dentists will refer you to an oral surgeon for . We want to keep your dental care convenient and comfortable, which is why Dr. Rahm has received additional training in implant placement and bone grafting. We can replace a missing tooth with a beautiful custom-crafted implant and complete the process from start to finish all under one roof, saving you the stress and inconvenience of visiting a stranger. When you have a dental emergency, you don't want to wait. We understand that at Chesterfield Valley Dental, and we will do everything we can to get you in to see Dr. Rahm as soon as possible, in many cases on the same day. Our team is experienced in handling dental emergencies, and we can make sure you are comfortable and safe while you wait for your appointment, even if your emergency happened in the evening or on a weekend. We are ready and waiting to offer you and your family high-quality dental care and a level of service that is unmatched. To find out more about how our services can benefit you or to schedule an appointment, call our office today!